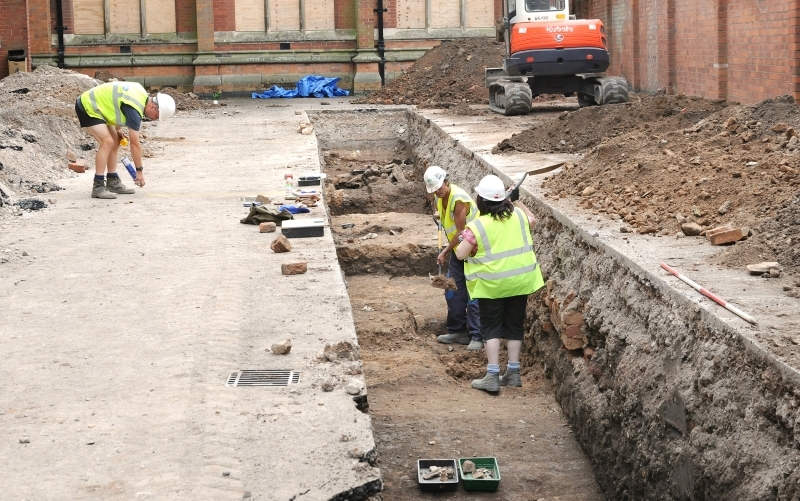 Lead archaeologist Richard Buckley, Co-Director of University of Leicester Archaeological Services, said: “The discoveries so far leave us in no doubt that we are on the site of Leicester’s Franciscan Friary, meaning we have crossed the first significant hurdle of the investigation. Earlier this week, the archaeological team – dubbed by the local media as the ‘Time Tomb Team’ – extended the trenches to clarify the alignment of some of the walls that had been revealed. “To the north of it there seems to have been an open space, but then another substantial east-west building represented by a robbed wall around 1.5m thick. This wall is a candidate for the south wall of the church, so on Saturday, a third trench was laid out in an adjacent car park to see if it continued to the east. After modern layers had been machined off, this wall was indeed picked up, together with another one around 7.5m to north, with a mortar floor (probably originally tiled) in between them. “The size of the walls, the orientation of the building, its position and the presence of medieval inlaid floor tiles and architectural fragments makes this almost certainly the church of the Grey Friars. 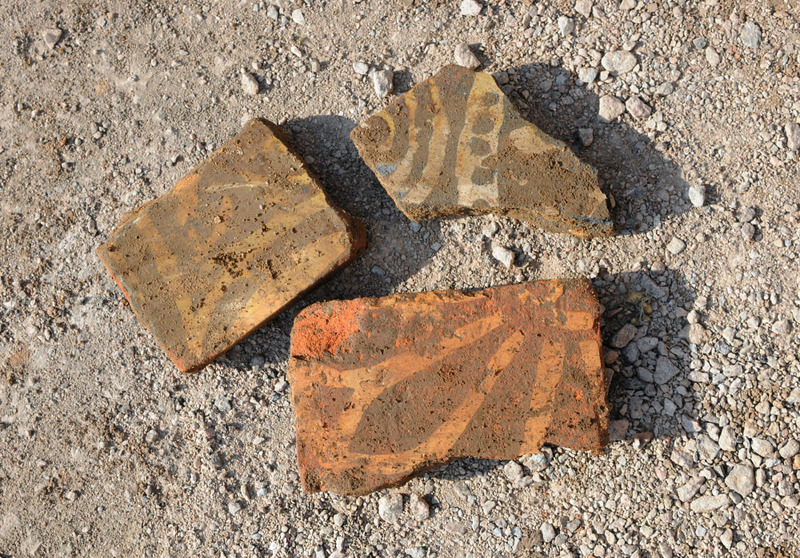 Mr Buckley added: “At the beginning of the project, I cannot say I was completely confident about finding the remains of the Friary, let alone getting closer to the presumed burial place of Richard III. The trenches could easily have missed the structures we have found, had they been located differently, or we could have found that the evidence had already been destroyed by later development on the site. “The whole team has been fired up by the project and we are extremely excited by the prospect of further discoveries over the next week or so which may take us closer to our goal.